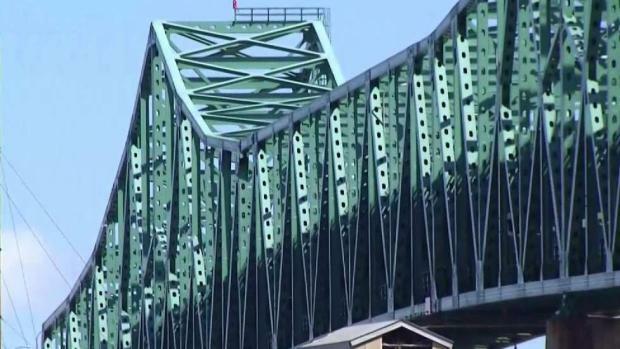 Lane closures will take effect and heavy delays are anticipated beginning Monday night on the Tobin Bridge, according to the Massachusetts Department of Transportation. Starting Monday night, lane closures will take effect and heavy delays are anticipated as crews work on rehabilitating the Tobin Bridge. 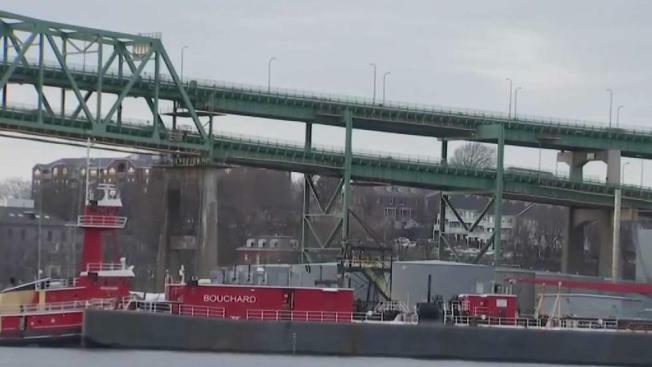 One northbound lane of the bridge will be closed during the day and two lanes will be closed at night for the duration of the project, the Massachusetts Department of Transportation warns. The project aims to repair the 60-year-old bridge so it can continue to be used in the future. "This is what we call structurally deficient bridge deck. It's at the end of its useful life it does not mean it's unsafe. But it does mean that in order to keep it and service it needs a significant amount of maintenance," said MassDOT Highway Administrator Jonathan Gulliver. The Massachusetts Department of Transportation is reminding motorists that starting Monday night, lane closures will take effect and heavy delays are anticipated as crews work on rehabilitating the Tobin Bridge. In May, the lane restrictions will expand to the southbound lanes of the bridge and the Chelsea Curves viaduct. Officials said during some nights and weekends this year, Route 1 northbound will be reduced to one lane. As for nights and weekends in 2020, Route 1 southbound will at times be reduced to one lane. Buses 111, 426 and 428 will be affected by the project, according to the MBTA. Transportation officials urge commuters who depend on any of the three MBTA bus routes that use the bridge to seek an alternative route, such as taking the Blue Line or Commuter Rail. Motorists who use the bridge say they will try to seek alternative routes. "When they start that project, I'm going to definitely stay away," said Cleona Sylvain of Everett. "I'm going to put Waze on and listen and follow and try to change my work schedule to get out a little earlier," said another motorist. Construction on the Tobin Bridge will commence Monday evening and delays are expected to follow. For Cheryl Roy, of Charlestown, who relies on the Tobin Bridge to get around, things will be difficult. "We're gonna be all trapped in here we can't leave," said Roy. "Because then you have to go the long way through Everett and that's even bad with the casino going up. So it's like where do you go?" Others who know the bridge is in need of repair say the work needs to be done before somebody gets hurt. "It looks scary. It really does. They have to do it. They don't have a choice," said Phil Tamburello of Saugus. Additional Blue Line trains will be running during the duration of the project to accommodate the extra capacity, according to MassDOT. Transportation officials said they are working on both the Tobin Bridge and Chelsea Curves viaduct at the same time in an effort to complete the construction in 2021. MassDOT says if crews were to work on the projects at different times, it would inconvenience drivers for more years. 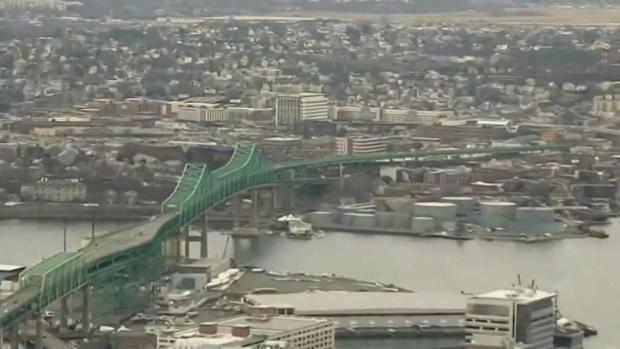 The two-year long construction project on Boston's Tobin Bridge begins on Monday and officials warn it will cause back-ups. 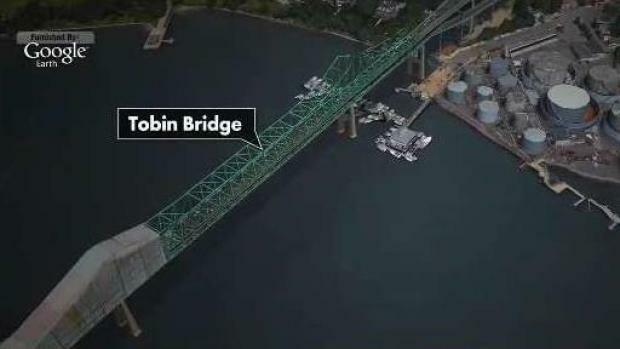 MassDOT's communications director, Jacquelyn Goddard, said one lane of the Tobin Bridge would close overnight Monday and that a work zone would be set up by Tuesday morning.